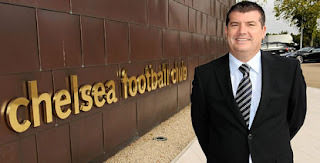 Chelsea chief executive Ron Gourlay believes a new manager could be in place at Stamford Bridge within the next two weeks. Following Carlo Ancelotti's sacking in May, former Blues caretaker boss Guus Hiddink has been linked with the role. Despite his optimism about an impending managerial appointment, Gourlay refused to be drawn on whether Turkey boss Hiddink is the man lined up to take over at Stamford Bridge. The 64-year-old Dutchman won the FA Cup and led Chelsea to the semi-finals of the Champions League during his brief spell as caretaker manager in 2009, and remains close to owner Roman Abramovich. In a bid to make amends for the disappointment of the last 12 months, plans are already in place to ensure next year is a more successful one for the club. "It's a big season for us coming up," commented Gourlay. "Things didn't go as well as we hoped last season and plans are very much in place for next season to be back winning trophies."